An excellent book for all serious investors and traders who are looking for a more objective approach to profiting from the markets. This book teaches you how to generate returns regardless of market direction and focuses on generating vibrational returns across all price levels without worrying about balancing probabilities or win/loss ratios. This is definitely the greatest advantage of a non–expectancy based trading methodology. This book should be in every trader s library. The author presents strategies for making consistent income that are easily implementable without the need to predict future price action. He masterfully combines vibrational, directional and bidirectional techniques within the constructs, giving traders a powerful and innovative way to maximize returns without ever having to top up trading capital since full earning potential is preserved at all times. This essentially gives a trader the opportunity to generate income for life, from a fixed initial investment that is never depleted. An indispensable book. The financial world has undergone vast changes after the Lehman crisis. Among which, market volatility has increased tremendously against the headwinds from Europe and the US which inevitably affect Asia. There is a need for investors to stay invested despite mounting uncertainties in order to improve real returns while preserving capital. In this very challenging environment, author Mark Lim has shared in this book strategies designed to combat volatility and preserve earning potential which will be of interest to trading–inclined investors with a quantitative and disciplined approach. As a directional trader, I manage risk by employing a stop loss strategy, I was initially skeptical about Vibratrading′s "no stop loss" trading style. However, the author presents a comprehensive alternative that opens a fresh and different perspective. It is important for all of us to have an open mind, as the frontiers of all knowledge can only expand when we are prepared to assess new ideas. 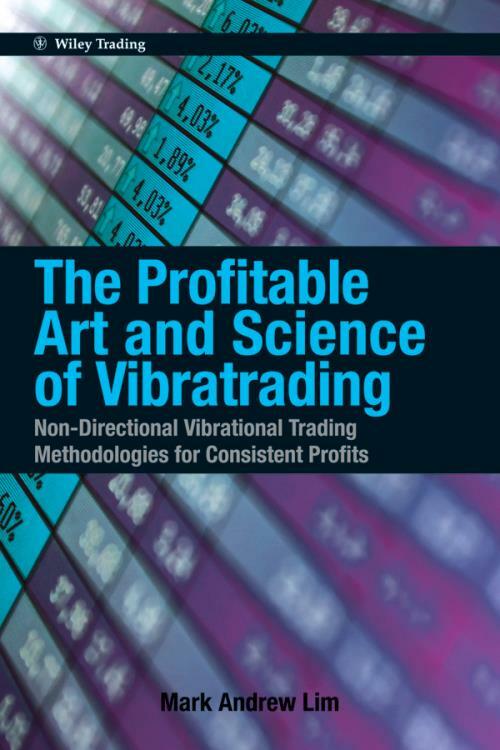 The Profitable Art and Science of Vibratrading offers a new and comprehensive approach to trading, without the stop loss method of risk control.